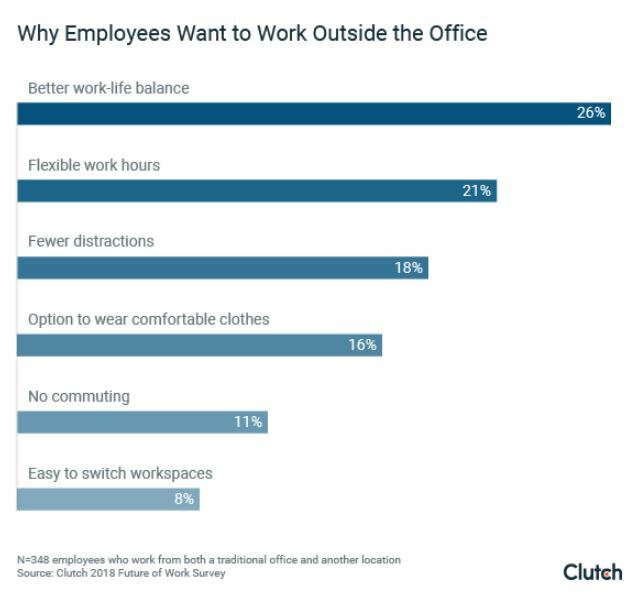 According to a study done by Clutch, 29% employees often work from home while 18% work from either a coworking space or a public free space such as a coffee shop or library. These numbers point to a rising trend of working outside a normal office. 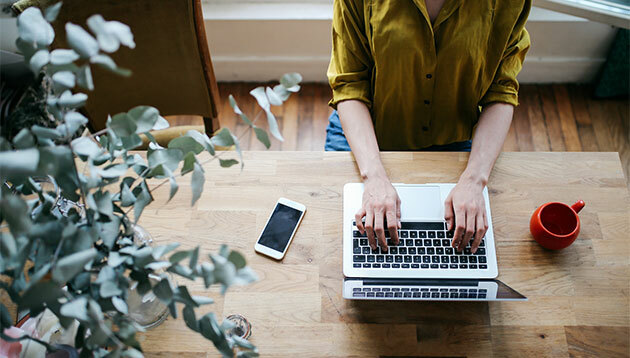 At least 54% of employees with the option to telework, say they are most productive when they work outside a traditional office environment and 26% of employees who have telework flexibility say a better work-life balance is the top benefit of working outside the office. Just over one in five respondents (21%) are drawn to teleworking because they prefer to set their own hours. Furthermore, 25% of coworking space users surveyed, say the main benefit of a coworking space is collaboration and creativity, working alongside people they wouldn’t normally encounter. Networking and professional growth opportunities are other valued aspects of coworking spaces. Just over a quarter (28%) of workers say that the most important factor in joining a specific coworking space is how close it is to their home. However, 68% of workers surveyed still work in a traditional office. 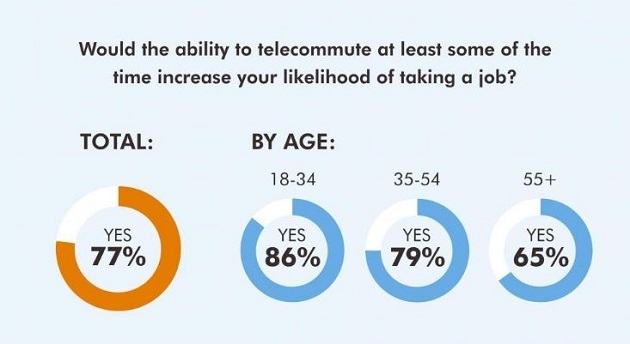 Similarly, 77% are more likely to accept a job offer if there’s the possibility of telecommuting at least some of the time according to another study done by Robert Half. However, the study also reveals the drawbacks of telecommuting where 22% are abusing the benefit, 22% also feel isolated and missing a team environment while 17% have strained interpersonal relationships due to lack of face time. Additionally, 12% said that loss of face time means telecommuting workers may not be considered for new projects or promotions. Clutch’s study comprised of 1,003 employees whose work can be completed in an office while Robert Half surveyed more than 2,800 workers in the United States.